Berry thanks Markoe for her gift and says that she hopes to see Markoe when she visits Philadelphia. 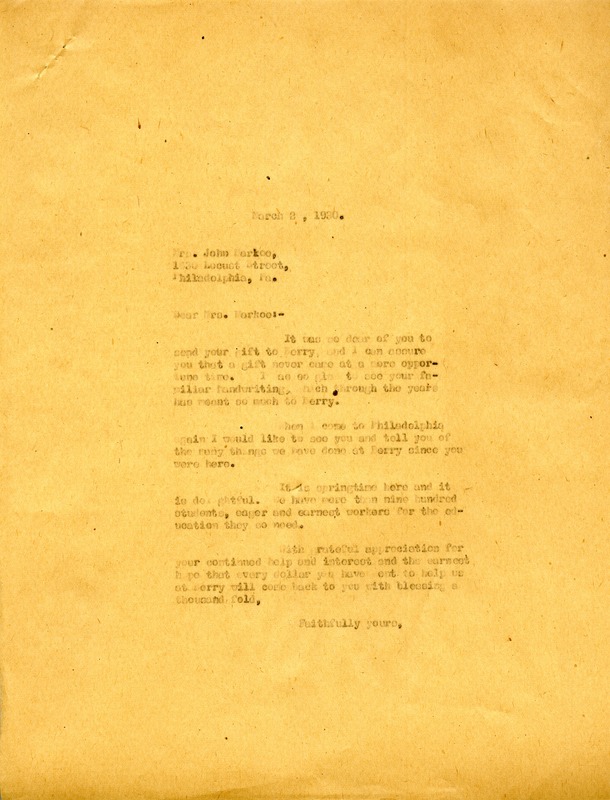 Martha Berry, “Letter from Martha Berry to Mrs. John Markoe.” Martha Berry Digital Archive. Eds. Schlitz, Stephanie A., Sherre Harrington, et al. Mount Berry: Berry College, 2013. accessed April 24, 2019, https://mbda.berry.edu/items/show/13214.